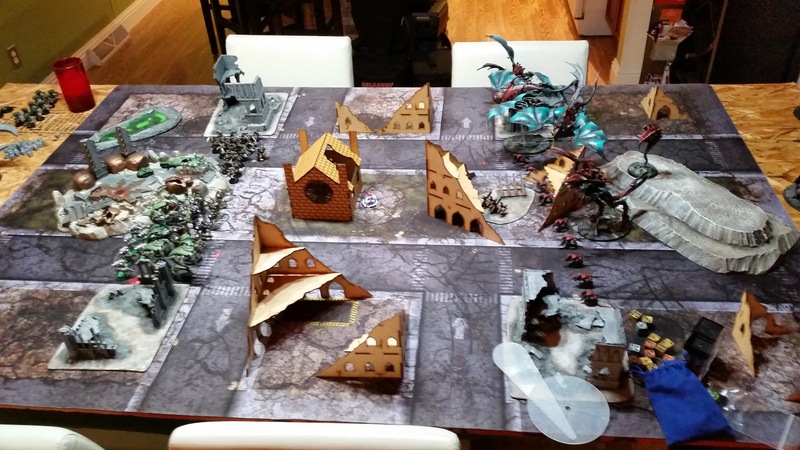 With my army all packed up for the FTN Seasonal this weekend, I wanted to share my last minute tweaks and final play test. Earlier this week I got a game in with my orignal list against Alex and his Necrons. We played Mission 6 in the FTN Mission Pack, which is a Kill Point Primary, with elevated Linebreaker Secondary and Relic tertiary. With the last few days leading up to the FTN Seasonal I knocked out my Dimachaeron from Forge World. Let me just say, this is one of the nicest, most detailed models I've ever worked with. It honestly made painting it a lot of fun and pretty easy, as I let the model do a good bit of the hard work for me when it came to highlights and recesses. Hey Guys. 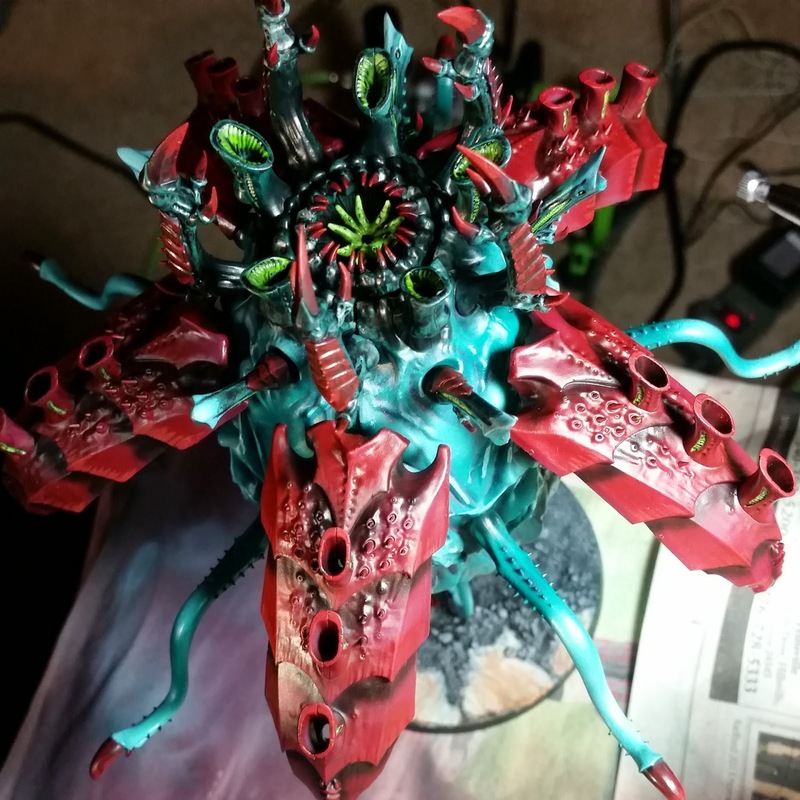 It's been a while since I did a generic painting post, so I thought I'd share some quick hits from the most recent model I painted, my Tyrannocyte. As you probably know, this is just a massive model. I don't have a comparison shot for you, but hopefully by next week I'll have the whole army for the FTN Seasonal on a display board. Anyway, into the Tyrannocyte painting. What's up everyone? On this Podcast, Bryan, Evan, Ron, and Chandler get together to talk about the latest Codex drop: Necrons. The Old Ones, the Living Metal, the Destroyers of Worlds. We talk about the book, the units we like, the units we don't like, and the craziness that some of the units can bring. Necrons rise to rule the stars again, and the boys are loving the new models. Who can stand against the Living Metal? We try to find out. Now that we've had a bit over a week to digest the new Necrons, I've shaken out some of what I see as the winners and losers in the book, and the feel of the new Necrons. To begin, I have to say this feels like one of the most internally balanced (but good - I could argue Orks are internally balanced, but bad) books we've had since Eldar and Tau. 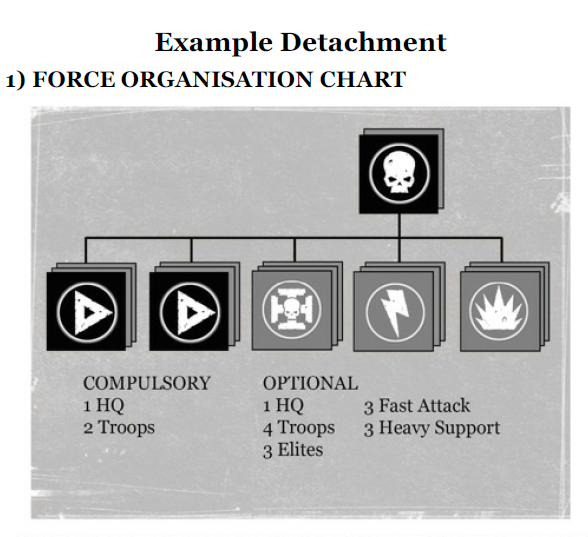 By that I mean that the book doesn't cater to a single obvious choice in each Force Org slot and a general obvious build. It also doesn't appear to be over the top powerful, but still nearly in line with other 7th Edition books in terms of overall power. Misuse of Army construction terms has been a bit of a pet peeve of mine for a while, pretty much since the 7th Edition rulebook dropped. With the Decurion Detachment confusing the issue a little more, I finally decided to put this together. Some of it seems obvious, but terms like CAD and Dataslate get confused and misused all the time. In this article, I'm going to start from the very top and work down in specificity, Take note of my use of capitalization in this article as it is very intentional. Capitalized words are used to call out words that have a specific definition when it comes to the game. I've been touting it everywhere, but at the end of the month I'll be in Durham, NC at the Forge the Narrative Winter Seasonal. At the time of writing this, I have just over 18 days to paint up everything I want for my list. I'm also working through finalizing my list and trying to get some last minute playtests. Hey everyone, BeeCee here. 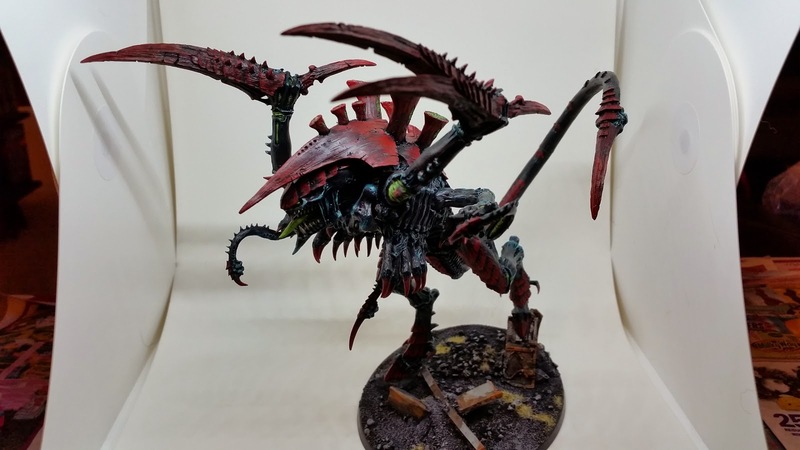 Let’s talk Tyranids, specifically army composition. If you remember, a while back, Sean Nayden took the 40k world by storm by winning the 11th Company GT with a unique list featuring Deathleaper’s Assassin brood, MSU genestealers, and mawlocs. 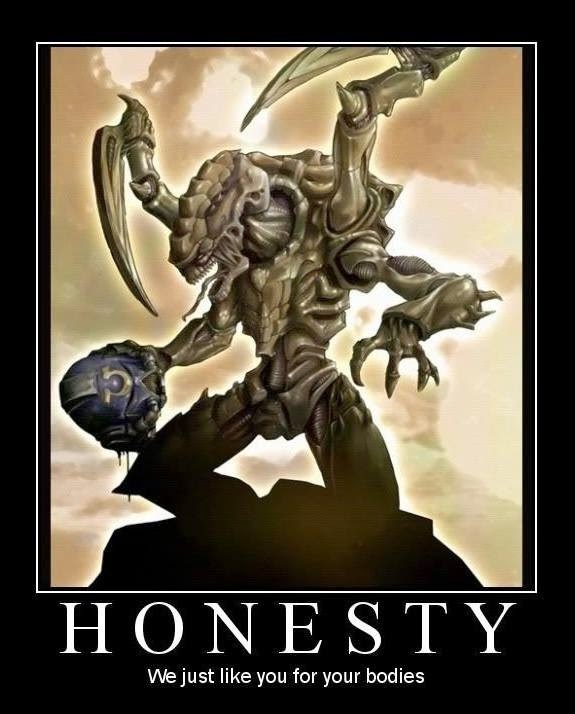 As you can imagine, Lictors have been difficult to come by ever since. Ebay, once the home of misfit lictors, is now devoid of them unless you want to drop full retail on a used model. It’s a brave new world ladies! 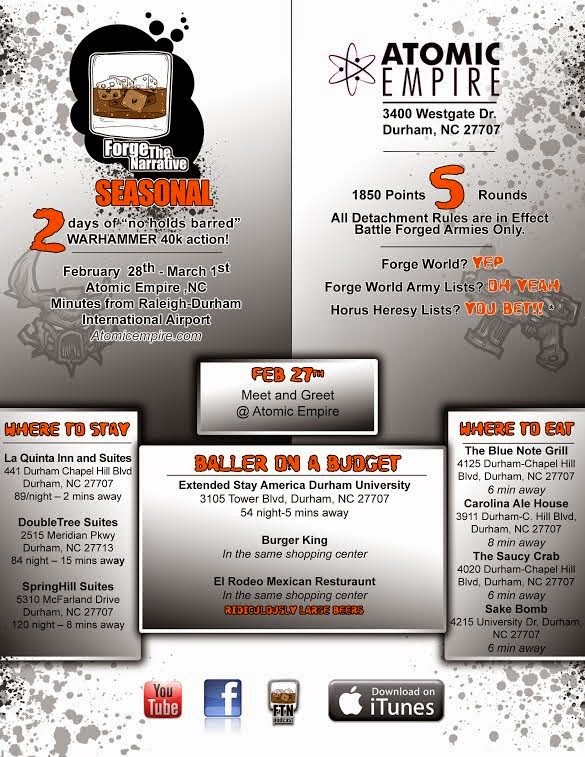 Hi All, it's the first week of the month, which means check in time for the FTGT Hobby Challenge. 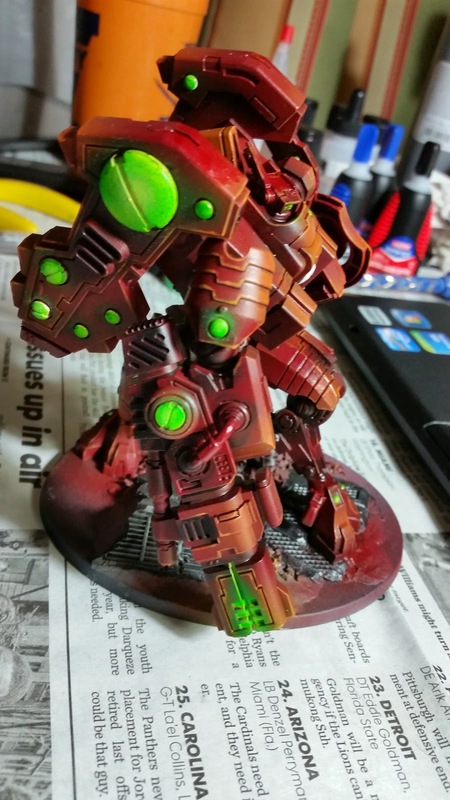 This month I finished a Riptide for my challenge, going a few dollars over budget with the rollover from my first month. 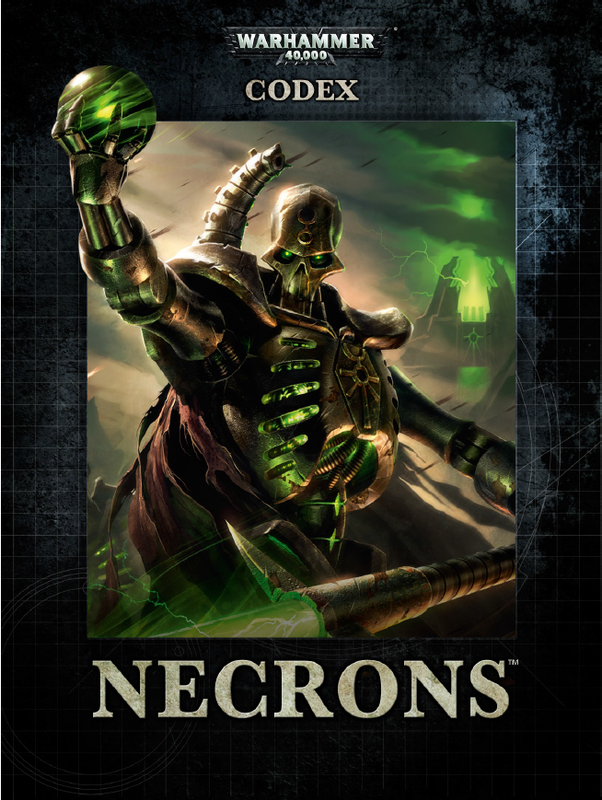 The aspect of the new Necron Codex that certainly stands out the most is the abundance of formations and the Decurion Detachment. The decurion creates a new way of forming a Battle Forged army that is arguably bordering on Unbound. This is because, while the mandatory selections are expanded, the flexibility after fulfilling those restrictions is endless, and allows numerous formations in a single detachment, with some very strong bonuses.